The NPOA held it’s Annual General Meeting (AGM) on Saturday March 23rd at the Fountain Hills Community Center. The Fountain Hills Mayor Ginny Dickey was the guest speaker and discussed some of the on-going town business and challenges. The NPOA President Susan Dempster gave her report and introduced the Committee of Architecture Chair Steve Bolton, who gave a report discussing the work of the Committee of Architecture and some new changes that were made last year to the Development Guide. The Treasurer Jana Palmer gave the financial report and outlined the much improved financial condition of the Association. Jana also gave the The Nominating Committee report and introduced the four Board of Directors candidates to the audience. A request for nominations from the floor was introduced, but no nominations were made, so the four candidates were approved by unanimous consent of the attending Delegates. A special board meeting will be held Wednesday March 27th 11 AM at the NPOA office. 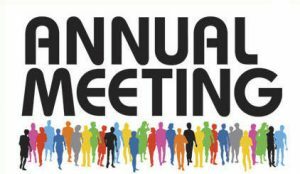 The purpose of this meeting will be for the currently serving and newly elected board members to elect the officers of the board for the coming year.